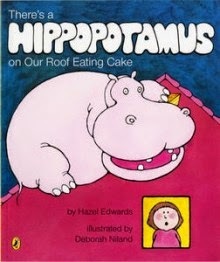 Kids’ Book Review is delighted to welcome the wonderful Hazel Edwards, whose beloved cake-eating hippo will be turning 35 next year. (We know! It makes us feel old too!). 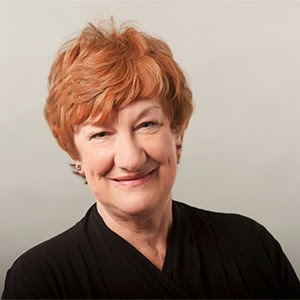 Hazel is currently working on a memoir and we asked her to share with us some of the challenges she is encountering as she pulls together notes and memories from her years as a children’s author. 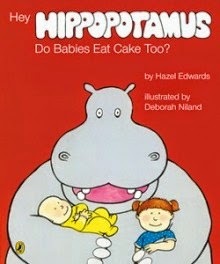 Let Hippos Eat Cake: Being a Children’s Author or Not? Until now, I’ve avoided writing an autobiography or my family history, although I’ve run ‘Writing a Non Boring Family History’ workshops. So I’ve helped others tell their stories and craft their anecdotes. Those I’ve mentored call themselves ‘Hazelnuts’. Why haven’t I written an autobiography? Mainly because I’ve used my experiences elsewhere in fiction. And because I’ve seen too many chronological lists forced on reluctant family readers. However, this year I changed my mind. Health issues forced me to stop flying. I needed to downsize, change my work style and declutter my literary files. I have ‘bits’ of ideas in paper, digital and other formats. I wanted the intellectual challenge of writing in a different way, NOT by chronological listing, but by anecdotal association. Anecdultery I call it. And to explore thinking in fractals, which is how I used to dream. So the memoir was to be an exploration of the process of creativity as a children’s author. 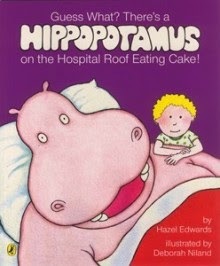 Next year the ‘age-less’ rooftop, cake-eating hippo character turns 35. And I have a significant birthday too. The timing was appropriate. A ‘memoir’ can be brief. And focus only on an aspect of a life. 1. Choosing a Working Title. Since this is the first clue to content, the title needed to indicate themes, like the creativity and dilemmas of being a children’s author. Sub titles are useful and so are questions. A working title can always be improved upon. 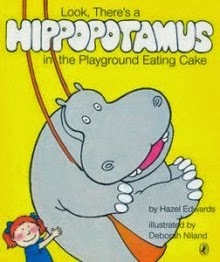 The cake-eating, rooftop Hippo character needed a mention but this memoir is more than only that concept. 2. Reader? Adult or child or both? If both, this affected the structure, content, visuals, length and even the vocabulary. Many child fans email questions about being an author but the major readership is ‘nostalgic’ adult who remembers childhood books or those interested in creativity. Trying to get the ‘voice’ right for BOTH was the big challenge. Usually I decide on my reader before I start writing, but this project was different. My table of contents changed order and titles 13 times. Using the cake symbolism, I alternated chapters like cake slices (slices of life), but it didn’t work. Then conversational sub headings within chapters as clues of content was ‘bitsy’. Answering common questions was a possible structure. Or a book format which could be turned upside down? Read from one end as a child the other as an adult? (Had used the upside down approach for dual viewpoints in son Trevelyan’s Cycling Solo:Ireland to Istanbul but some just thought it misbound.) How could the format help? Use sidebars of dot points occasionally like Hippo History? Undecided. After reading a stack of autobiographies (including e-books so it wasn’t really a stack but more of a tablet), decided the vital ingredient was ironic and self-deprecating humour. ‘I’itis of ego to be avoided at all costs. Which relationships to include? Would the ones not mentioned feel insulted? Finally decided to include family, friends and colleagues only if they symbolized a way of working or solving a creative problem. I wanted to avoid the introspective writer writing about being a writer. Choices? Use the adventurous expeditioner part of Antarctica, which I already possessed in published articles? Or write a more general over-view of the significance of the adventurous experience which was important participation-observation research? I became aware of the value of immediacy in articles written just after events. And the value of re-using them, edited. In ‘Authorpreneurship’ I’d already covered the business side of being a children’s author as an up- to- date ‘how to’…This was different: meant to be amusing but more personally candid and with some philosophical depth. Deciding on the logical order of the chapters was a challenge. Deleting repetitions of hippocampus concept. Plateau of Boredom needed to come earlier as the serious chapter on the process of creativity. 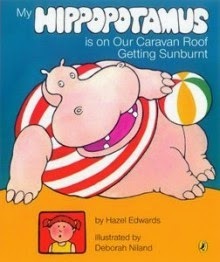 Positioning the shorter, quirky child-centred hippo chapters earlier. Unsure whether to cut out the detail of being on tour, or retain as realistic example of a how an author works in public. For once I didn’t have a theme, that vital ideas thread. It evolved. As a quest or Map of Serendipity: planned randomness. Fortuitous mapping. Needed to emphasise the Process of Creativity as a mix of persistent work & serendipity & occasional fun. Importance of thinking in fractals or patterning as part of creativity. And the legacy of mentors like my father. Was the ‘I’ the adult Hazel, and did that make everything earlier past tense? Or should continuing things be in present tense? Both? I’ve enjoyed reading biographies of ‘behind the book’ with female writers. How candid is enough? Revealing my version of being an author who often writes for children as well as adults. But who also has a family and a community involvement. Negatives as well? Expectations and reality? Sub titles within chapters in conversational tone. Sidebars of facts? Will need graphic design and formatting help. Then comes writing the ‘pitch’, editing, re-writing … and eventually reaching the reader via various formats. Maybe calling a memoir Non Boring is egotistical? What if the reader is bored? Authors always have doubts. Writing is not just a piece of cake. Hazel’s memoir will be available in 2015 but the title may change. 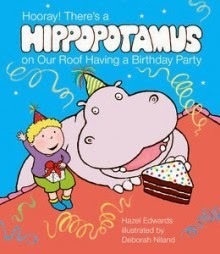 Hazel Edwards OAM is the author of There’s a Hippopotamus on our Roof Eating Cake. Her Writing a Non Boring Family History workshops are popular with ‘genis’ families. Her Authorpreneurship: The Business of Creativity was published by ASA’s Keesing Press in 2012. Visit Hazel's website for more information about her books, writing and other literacy projects.